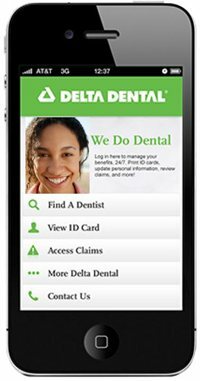 If you were a very tech-savvy and marketing-oriented dentist, you would have asked your web designer to build you a mobile-friendly website in 2011. After all, 8% of your site visitors were using their mobile devices to access your site. You wanted to provide everyone who visited your site with a great experience. In 2014, you don’t have to be tech-savvy or a marketing genius to understand that your site must be mobile-friendly. A whopping 41% of your site visitors are now using their mobile devices to access your site (smartphones and tablets). We expect this number to grow to close to 45% by 2015. That’s what we realized after analyzing our dental clients’ website traffic and compared them to the past four years. Dr. Stosich is an orthodontist close to Chicago. In June 2011, his site only received 170 visitors. From that, only 8 visitors were using their smartphones and no one used an iPad. In June 2014, while his traffic has increased to 1,371 visitors, 564 visitors used their mobile devices (441 smartphones and 123 tablets). Everyone else’s story was similar. The only exception to the rule was doctors who live in low-income areas and those living outside of the U.S. (Canada for example). 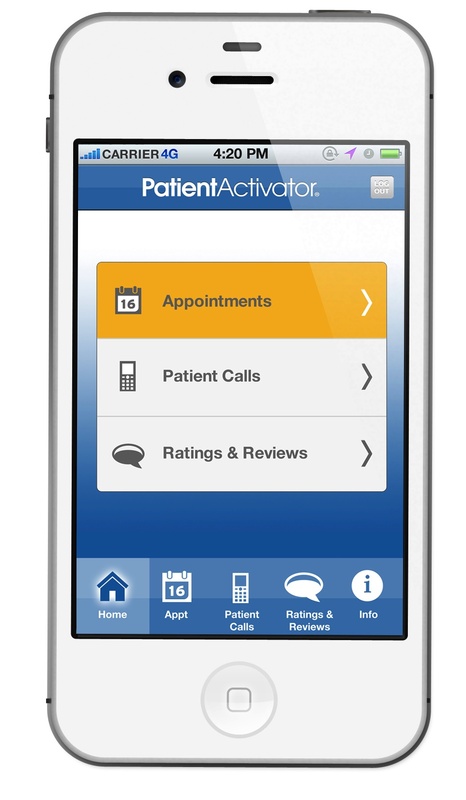 These doctors’ sites received about 20% of their traffic from patients using their mobile devices. As one study by The Guardian has shown, site visitors’ attention span has shrunk from 12 seconds on average in 2010 to eight seconds in 2012. A follow up study revealed that in 2013, it became six seconds. Today, it could be four and next year only three seconds (if the trend continues). That means your patients do not have the patience to “look” for what they want on your site. 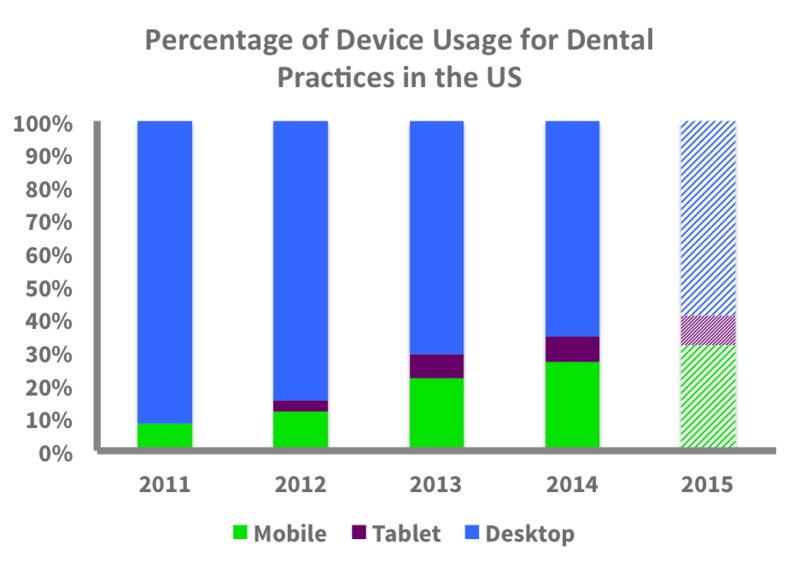 A site that is well-organized (most of the dental sites do a good job with that) helps the patients find what they’re looking for quickly and learn about your practice. But if the site is not mobile friendly, then it will take your prospective patient a few seconds scrolling left-right, up-down and zooming in-out to find what they are looking for. Even then, clicking on links and going back where you started is a pain. Consequently, many of your patients leave. While we studied the conversion rate for one of our clients who does not have a mobile-friendly site, we realized that none of the site visitors using mobile devices are contacting their office. That means, they’re losing close to 40% of their potential customers. This option is good for large companies like banks or social networks, like Facebook. The user must first download the app and then is able to access it from their phones. This is not a good option for dentists. A mini version of your site, which may have a few buttons and couple of call-to-action messages including your phone number. The pro is that the adaptive sites are inexpensive. The cost of building an adaptive site will be in the hundreds. a. Your adaptive site must be hosted on a subdomain of your site as mobile.yoursite.com. The search engines see this as a totally different domain than yours. Thus, you may be faced with duplicate content issues. b. The user will be disappointed to find out that most of the information on your site is not available on an adaptive version of it. This is more of a problem if the visitor is a repeated one looking to read your articles or watch your new videos. Your site’s full version should be designed for mobile devices. As a responsive site, it will adapt to the size of the monitor. b. It is extremely user-friendly as every monitor size has been carefully thought for. c. The search engines love it because the code is more modern (HTML5) and shows your level of sophistication. d. Visitors can read all of your articles and access everything they’re used to on your site. The con is that they are expensive to build: both design and development require double or triple the work compared to a non-responsive site.